Wrist hurting when playing guitar? 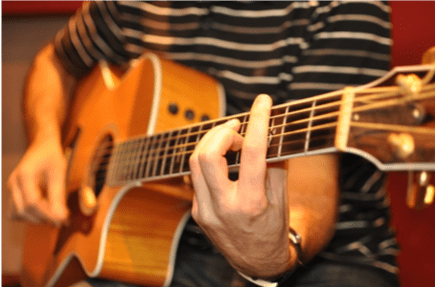 Why Does Your Wrist Hurt When Playing the Guitar? If you have pain in your hand and your wrist when you are playing the guitar, we are going to look at some of the reasons why this might be and how to solve it. If you are right at the beginning of learning the guitar, then you may have pain that you have to go through in the beginning while your hand grows stronger. There is a couple of things we will go through that might help. It’s important to remember it’s normal to have certain level of pain when you first start learning. Make sure you don’t play through shooting pain. Keep your practising to about 20-30 minutes when you are on your own. If you have a great guitar teacher, making sure your technique is correct. You can play for hours and you would be fine. One of the biggest cause of wrist pain is to do with tension in the rest of your body. Whether it’s in your shoulder or back or any other areas. This tension may stem from how you are sitting. I have linked below a video on how to sit properly to help you with this to ensure you have good sitting technique when playing the guitar. If you are struggling with barre chords. Which can happen whether you’ve been playing for 6 months or 6 years, it all depends on where your guitar playing is at. When you first learn to play barre chords, you need to build up strength in your wrist to be able to play them for long periods of time. In the beginning, keep consistency, and regularity with practising those barre chords with 10-15 minutes at a time. The cool thing is that once you have really improved your barre chord playing and built up those muscles. It’s a skill that is going to stay with you basically forever. Another common thing that causes wrist pain is when you are trying to play barre chords, you spend a lot of time pressing hard on the guitar. 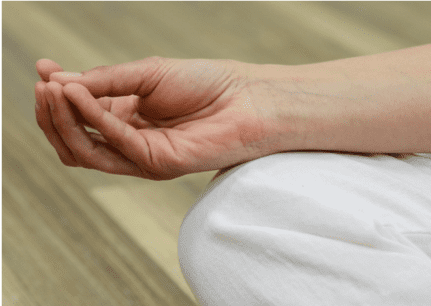 If you are getting a lot of tension in your wrist, forearm, even your thumb. Then you might be pressing too hard on the guitar while playing barre chords. A good exercise to try to combat this is to gently press down for a chord from a muted stage, then keep squeezing until a clear sound comes out. You can do this for both chords and for single notes to check if you are over pressing. Also with a lot of guitars, when you are pressing too hard, you are actually bending the string and can get your notes out of tune. There are other reasons that your wrist pain might be happening, but if you are getting lots of wrist pain, then you need to get a professional guitar teacher to look at your posture and technique to ensure that short term, you save yourself from wrist pain. And sometimes even a doctor because it might not be guitar related at all. Having a professional guitar teacher look at your technique means in the long term, you are not doing any sustained damage to yourself. Whether that’s your wrist and perhaps other parts of your body if you are using incorrect techniques. If you are based in East London in England and are suffering from wrist pain and what to know how to overcome this and learn proper technique for playing the guitar through our guitar lessons. Get in touch with us. We would love to hear from you and find out how we can help. We provide a holistic approach to teaching that not only helps you with learning songs, building up your confidence on the guitar. But ensures that you enjoy learning guitar as a journey in a vibrant community that supports your long-term success. Click on the button below contact us and request your free introductory guitar lesson and find out more about guitar lessons for you.